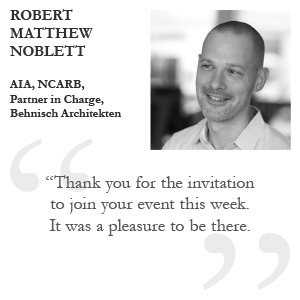 Noah Yaffe has been with Steven Holl Architects since 2004 and was named partner in 2011. He attended Colorado College and received his Masters in Architecture from Harvard University’s Graduate School of Design. He is currently the Partner in Charge for the Lewis Center for Creative and Performing Arts at Princeton University and the new Seona Reid Building at the Glasgow School of Art, in Glasgow, Scotland. He has been Associate in Charge for several projects, including the Knut Hamsun Center in Hamarøy, Norway, and the Herning Museum of Contemporary Art in Herning Denmark, which both opened in 2009.